I am taking the opportunity with my background #2 DT sample for Country View Challenges to make a Valentine card for my hubby. 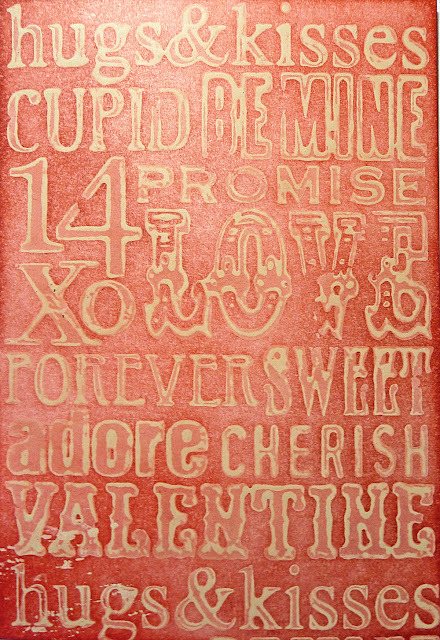 I began with ivory smooth cardstock and stamped the Valentine words from Tim's Valentine Silhouettes set using antique linen distress paint and heat dried it. 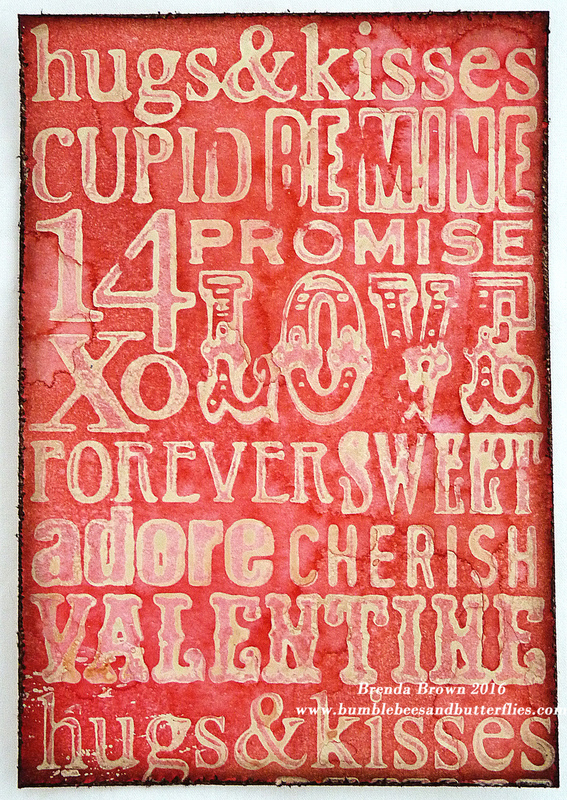 Next I took festive berries and fired brick distress inks and blended them across the card and over the paint. Take a damp cloth and gently wipe over the surface lightly to remove the ink from the painted surfaces and then spritz with water to activate the ink and allow it blend and create distressing. You can see the water marks in the photo below. Then scuff, distress and blend ground espresso ink around the edges and ... eh voila the background is finished. Now let's see what I did to finish the card. 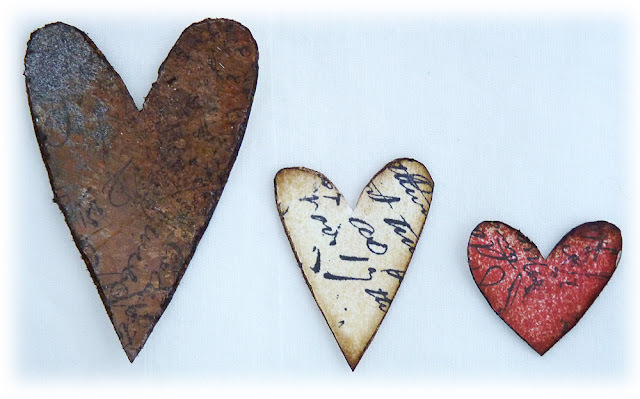 Using the same set of stamps I stamped the hearts in antique linen and fired brick, cutting some out not knowing which ones I wanted to use at this point. 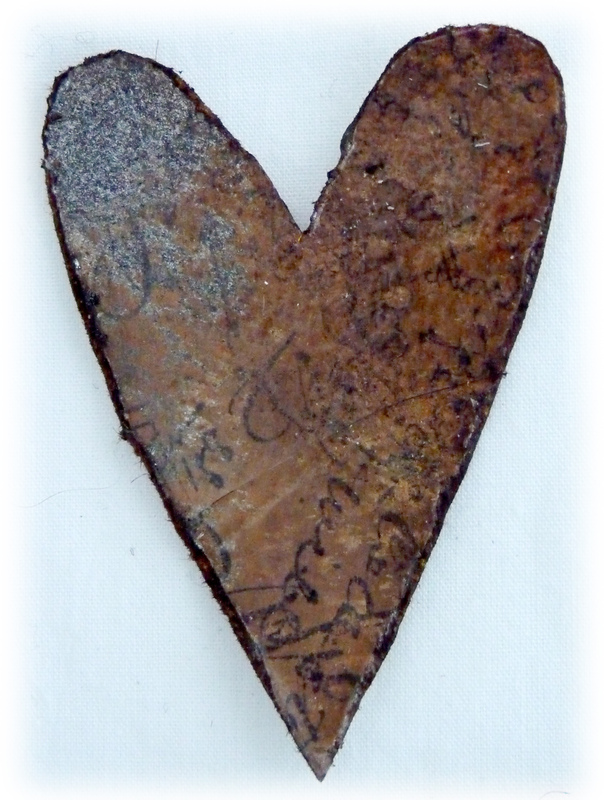 I needed something brown so I found a scrap of card that had been altered to look like rust and I stamped the set of hearts again in clear embossing powder and clear embossed. 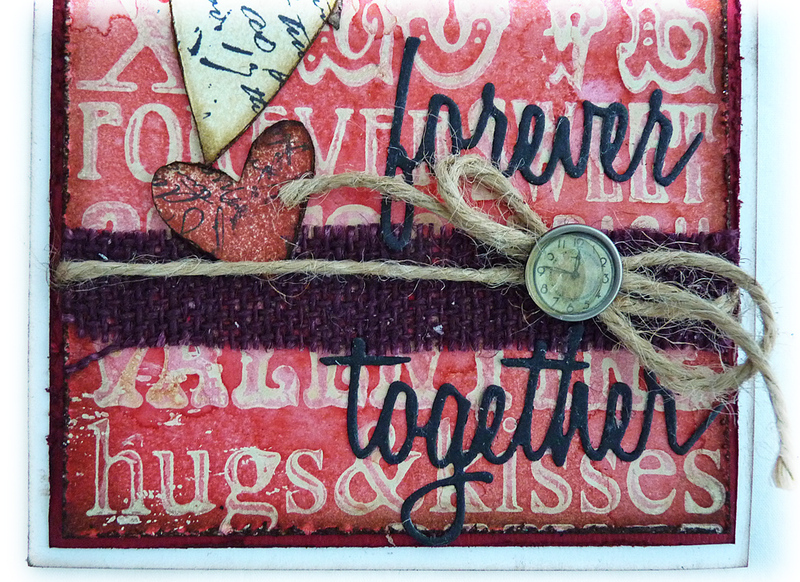 With the rust one I added a red and an antique linen one stamping them all with text using Tim's ledger set. 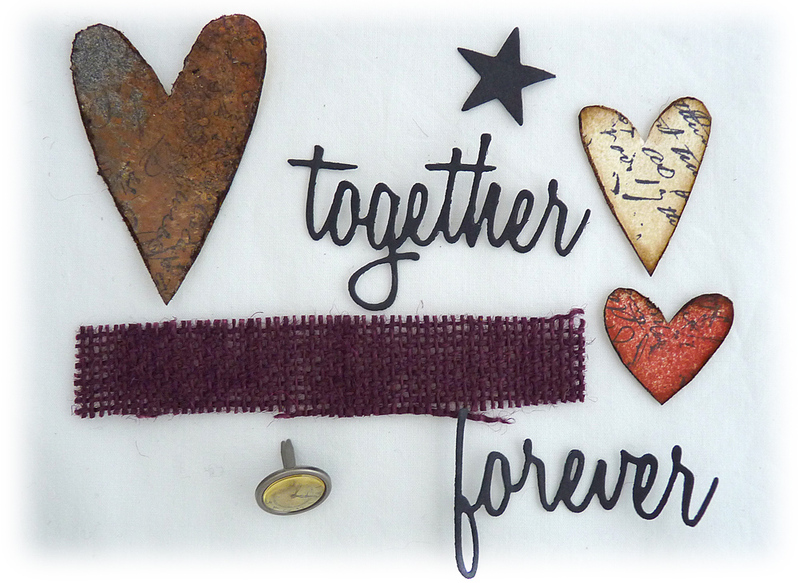 Using the friendship words thinlits I die-cut the words I wanted found a black star and a customer fastener in which I put a clock face. With a piece of coloured hessian the design now came together. Fairly simple but quite effective I think. I'm now ready with hubbies card for Sunday and looking forward to a quiet day. I see Frilly and Funkie have a 'Love is in the Air' challenge so I am entering their challenge again this month. Thanks for stopping by again today, I hope you have been able to take a look at the new backgrounds challenge at CVC and maybe you have even entered. 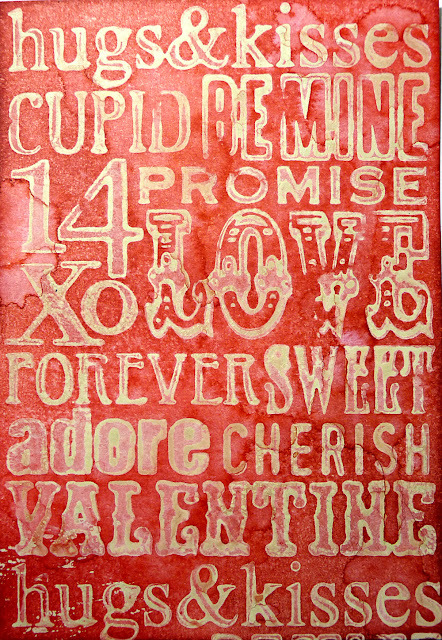 Enjoy the rest of the week and happy Valentines Day to you all. Fabulous Valentine's Day card, Brenda! 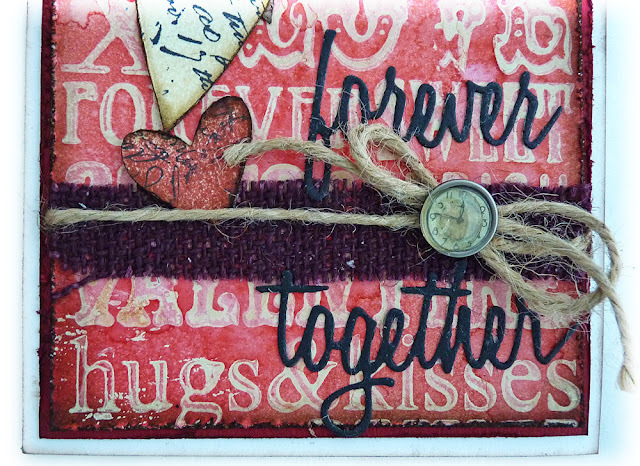 Gorgeous background made into a gorgeous card ! Just AMAZING Brenda.. I love all about this beautiful card! Oh sooooooooooooo lovely Brenda. The hessian and little clock just made it perfect. Incredible background and your hearts are so unique and fun. Thanks bunches for sharing the steps. HAPPY VALENTINE's DAY! j. PINNED!!! 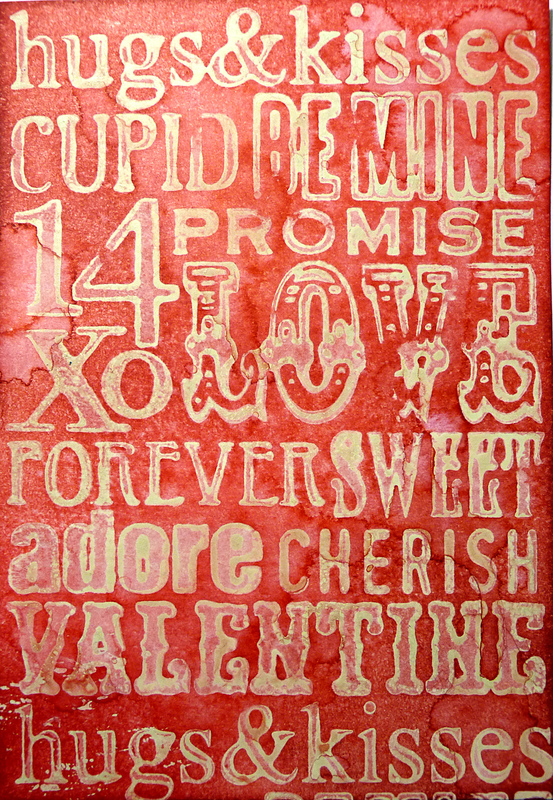 Fabulous card, every lovely bit! 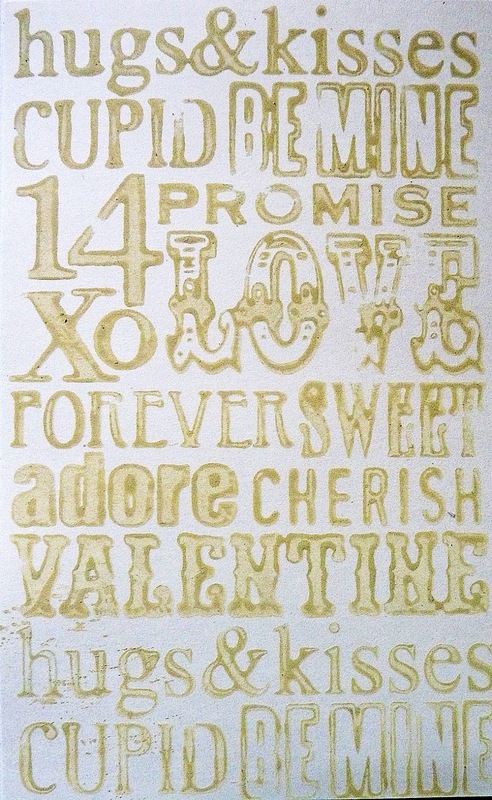 A fabulous card, your husband must have loved it. 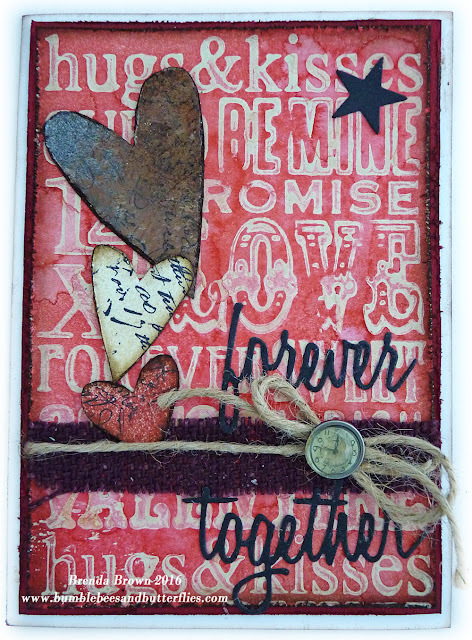 Brenda, I absolutely love all the inky goodness you've built into this grungy Valentine! It's so perfect for your husband. Every detail is absolute perfection, and the step out is great, too! 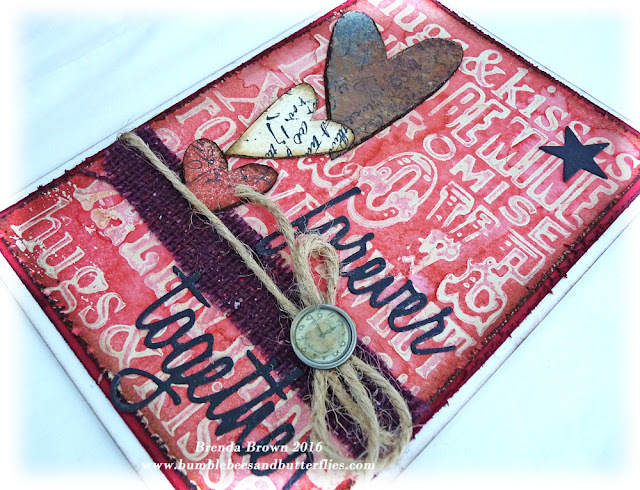 Thanks for sharing with us at the Frilly and Funkie "Love is in the Air" Challenge!